Keeping with the luxury that prevails throughout the home, the traditionally styled kitchen is an elegant space designed to appear as fine furniture. 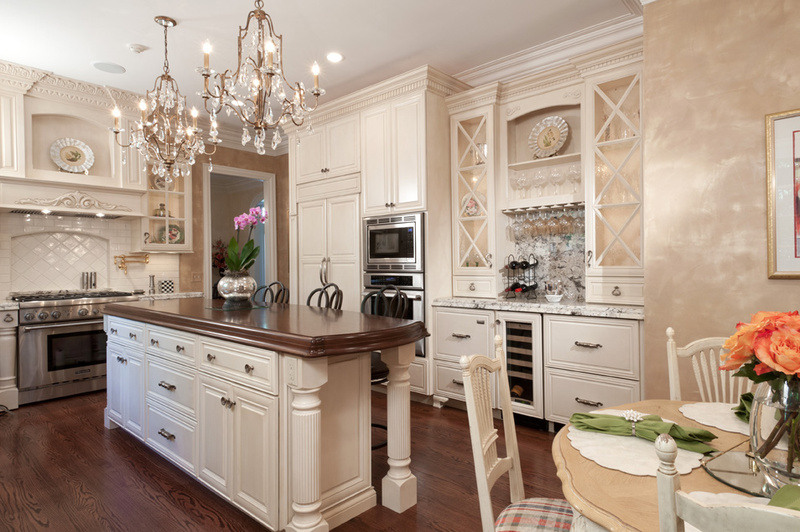 A creamy paint on the maple cabinetry gives the kitchen a soft palette. Marc Christian Fine Cabinetry introduced interesting texture to the space through a mixture of materials including oak flooring, glazed tile, granite and a cherry wood butcher block. The textures complement the cabinetry while tastefully contrasting it. Elegant touches abound including polished brass fixtures, Monticello brass cabinet hardware and dual crystal chandeliers. Appliances are concealed in matching wood panels further lending to the fine furniture appeal. Set up to allow for entertaining without interfering with the cooking space, a beverage center is equipped with refrigerator drawers, a wine cooler and a single dishwasher drawer. Faux finishes by Corinne Jones Interiors add to the elegant and timeless look. 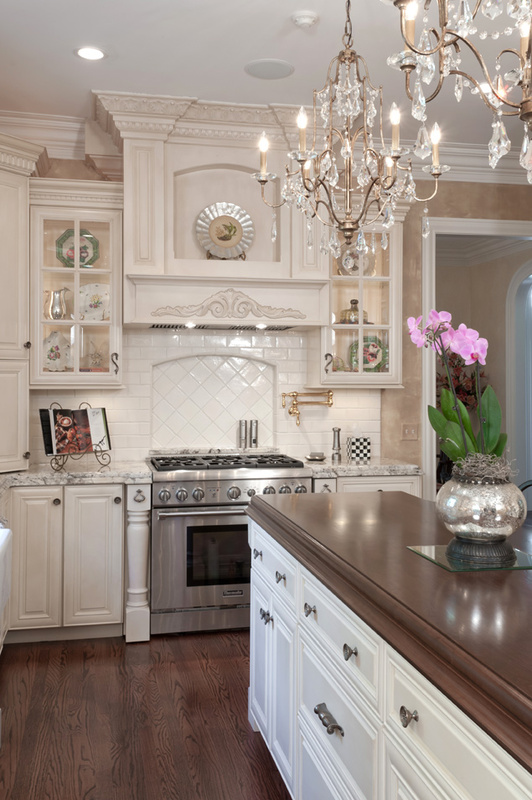 Judges’ Comments: This elegant and traditional kitchen has nice proportions. The wood countertop/island is a terrific addition, and the double edge on the top is a well-designed detail. The inset refrigerator blends perfectly with the rest of the cabinetry.